Nena von Schlebrugge, Uma Thurman’s mother, posed for Vogue when she worked as model in the 1950s. 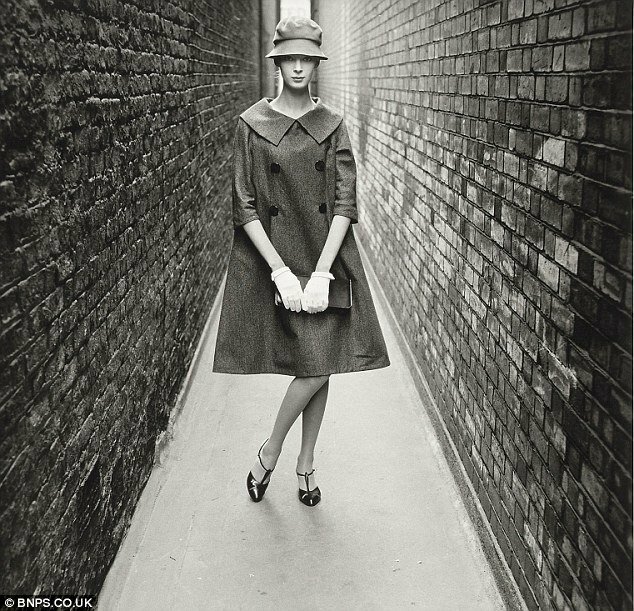 The shots were taken in a London alleyway by photographer Norman Parkinson and show Nena von Schlebrugge wearing items from Yves Saint Laurent’s first collection for Christian Dior. Norman Parkinson first spotted Mexican-born Nena von Schlebrugge’s model potential when he met her in Stockholm, Sweden, when she was 14-years-old. He was one of the first photographers to take the models out of the studio and into more unusual environments. The photographs are to go under the hammer at Christie’s London in September. The two photographs of her in the alleyway are expected to fetch £4,000 ($6,000) while another picture of her near the Palace of Westminster is estimated to make £6,000 ($9,500). Nena von Schlebrugge went on to have a successful modelling career as she moved to New York and posed for the Ford Modelling Agency. She later married Robert Thurman and had four children, including Uma, who has starred in films including Kill Bill and Pulp Fiction. Uma Thurman said she is full of admiration for how her mother pursued a modelling career when she was still just a teenager. “She’s a very strongly independent person. She went off to make her future at a really young age. At around 15, she went from Stockholm to England. Imagine that in about 1950,” told Reader’s Digest Australia. Uma Thurman added that she’s surprised when people say she has inherited her mother’s good looks. “I’m not classically attractive. I’ve always been sort of an acquired taste,” she said. The actress said that her mother, who is now managing director of Menla Mountain Retreat in New York state, warned her not to get “attached” to beauty. “My mother always made it very clear to me that, whatever you look like now, you’re going to look worse later. Don’t get too attached to your beauty because it’s not yours to keep. Don’t go around thinking that it’s some big bonus and that you can count on it,” she said.